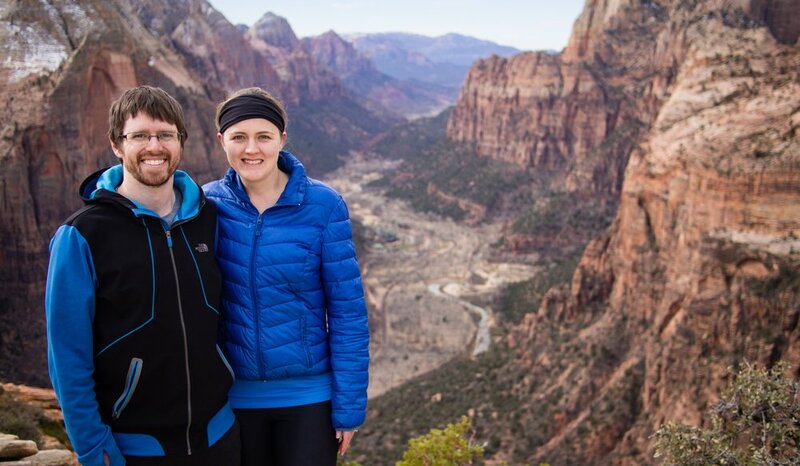 Our names are Andy and Lauren, and we are passionate about stories -- about YOUR story! Nothing feels more natural or inspiring to us as holding a camera and being able to use it as a tool to capture moments -- moments that are candid, beautiful, significant and full of emotion, and that when woven together, tell a story. Hello and thank you for taking the time to visit our website! Our names are Andy and Lauren, and we work as a husband and wife team shooting wedding films all over the beautiful state of Colorado (and beyond!) We both share a passion for videography and story telling, and it is a dream come true for us to get to work together to help other couples relive one of the best days of their lives. Each of us comes from a slightly different background, but with skill sets that compliment each other nicely. Andy studied film and graduated with his bachelor’s degree in film production and mass communications in 2010. His approach to videography is more technically driven — whether it’s testing out the latest piece of video or audio gear, or having a lengthy conversation about film history — he is all in! Lauren studied interior design during her undergraduate years (and actually also works for an architecture firm when she’s not shooting and editing weddings,) so her approach to videography tends to be more artistically and creatively driven. She is a natural observer with an eye for details. We both actually fell into wedding videography somewhat accidentally. The first wedding we shot together was in the summer of 2014. It took place on a sunny summer day in Lyons, Colorado. Originally, we had been hired to only film the wedding ceremony and toasts. Inspired by the couple and the atmosphere though, we decided to take it a step further and (with the couple’s blessing of course) did a creative highlight of the whole day, from morning until late into the night and every carefully crafted detail in between. The day was positively magical, and we both got completely swept up in the emotions, the beauty, and the significance – even though we had only met the couple once before! We were hooked. We had no idea the significance that that one day would have on our lives, but here we are years later, and there is nothing we enjoy more! Weddings provide such a unique window into one of the most significant and intimate days of people’s lives. It is a powerfully beautiful thing to witness, and we love getting to help capture these important moments. We like to describe our “style" of shooting and editing wedding videos as a creative documentary approach. We like to shoot the day as it unfolds naturally, trying to capture the essence of the day — the setting and scenery, the decor, the significant moments (big and small), the emotions, and the loved ones who are there to share in the day with you. It is our passion to create something authentic – something that captures the unique story of each couple so that they can relive the day again and again in the years to come. We both grew up in the heart of Colorado’s mountains and are glad to still call this beautiful state home. We originally met in high school through our school’s music program, and immediately struck up a friendship. After a year or so, we began dating and spent many happy years adventuring and growing up together through life’s ups and downs. Our engagement happened one (very!) snowy December night, in a blizzard on top of Loveland Pass (near Arapahoe Basin Ski Area, where we had our first date and went skiing together). We were married several months later, on a glorious August day in 2010 in Breckenridge, Colorado in Lauren’s childhood backyard. Our wedding day was one of the happiest days of our lives. Currently we are based in Denver along with our lap-loving kitty, Mira. When we’re not off filming weddings or working away in the editing room, we’re probably off on some new adventure, be it hiking, skiing, road tripping or simply having a picnic somewhere and shooting a timelapse. Want to know more? We’d love to talk to you more about how we work or answer any questions that you might have! Shoot us an email or give us a call!